I don’t remember exactly what my tipping point was. Maybe it was the seemly longer hold times with GoDaddy technical support. Or maybe it was the SPAM delivery issues using GoDaddy’s default SMTP server (relay-hosting.secureserver.net). 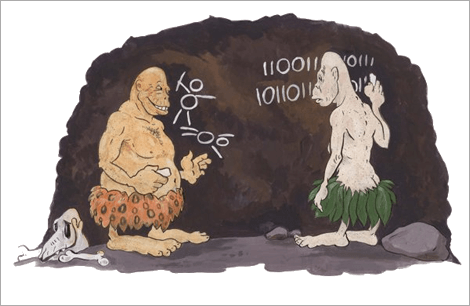 A lot has been written about exchanging data with REST APIs as it seems most modern APIs prefer to accept JSON as the preferred format. Nevertheless often developers are at the mercy of the API they are communicating with as was the case for a recent project I did for the River of Time Museum in Fountain Hills, Arizona. This blog post is kind of specific but for anyone who needs assistance connecting their e-commerce application to QuickBooks Legacy QBMS Payments API where JSON is not supported, I hope it helps. Adding a sticky menu bar is an easy, user-friendly way to not make your customers have to scroll to the top of the page when navigating your website. On a lot of websites nowadays, you will see a main navigation bar that stays fixed along the top of the browser window and then stays visible as you scroll down the page. 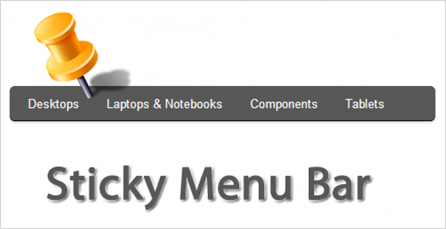 This feature is usually referred to as a sticky menu and it can be a convenient addition to your navigation design. But it doesn’t have to be limited to just menu items. I am a bit biased to Visual Studio as it has been my development environment of choice for a while now. However with the recently released 2015 version, I think the need for me to switch between multiple code editors like Sublime or Dreamweaver is probably going to become for the most part unnecessary. 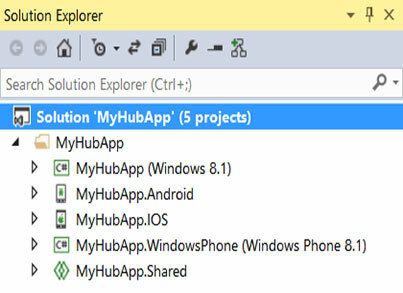 Visual Studio 2015 gives developers cross platform development tools to create native iOS and Android Apps using C#. Good news for .NET developers looking to add native iOS and Android App development to their programming repertoire. The learning curve just got a whole lot easier thanks to some enhancements coming in Visual Studio 2015 (schedule to be released later this month). The 2015 version fully embraces cross platform development including building native Apps with your C# and .NET framework skills and even sharing most of your code between them. C# strings are so frequently used, methods to simplify them are often overlooked. Every so often it’s good practice to review the methods available in your framework just in case there is an overlooked method already available for something you are trying to do — even if it is code you’ve repeated numerous times. Actually especially when it is code you have repeated numerous times. This was my first venture into HTML5 video backgrounds and I have to admit both me and my client were impressed. These backgrounds are a simple, yet effective technique I would recommend other front end web developers try for themselves. To develop a new website for a Scottsdale-based company called The Plus Group. Their project seemed right up my alley. We had a great meeting, their goals were clearly convened and I walked away with some potentially workable ideas for how I could accomplish what they were looking to do. The Plus Group is an advertising agency, with a team of creative graphic designers, art directors and branding professionals. They were the type of folks who could rip apart a design from the inside-out and then win a debate with you over the type of serif you used in the headline font. If you are reading this you may be on the verge of hiring someone to create or redesign your website. Their proposal maybe within your budget, you’ve done your due diligence and reviewed their portfolio, maybe even checked a reference or two and at this point you are pretty comfortable pulling the trigger and signing the contract. But before you do, here is a question you probably didn’t think about, but definitely should ask before hiring them.